Rena Rosenwasser’s latest collection of poems from Kelsey St. Press, Elevators, explores axes of perception that unfold into thought. Elevators engages the intersections of vertical and horizontal perspectives that change as the body and mind move through space, insight, and linguistic form. Rosenwasser’s collection reveals that the “vertical passageway” of elevator travel is also beautifully horizontal: as the elevator moves skyward, it reveals a widening horizon (37). From this relationship, dimension emerges. The vertical and horizontal are organizing coordinates of thought and sight in Elevators, and Rosenwasser’s poems chart their grid-work, unfolding across, up, and down the page. 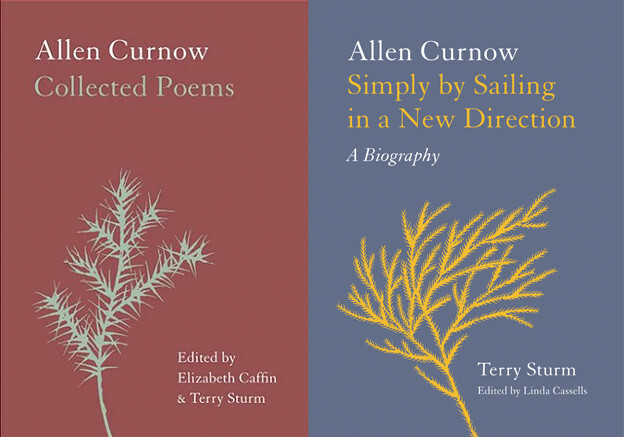 This movement engages the dimensions that emerge from the extension of the poems’ forms into thought. The eye/I of Rosenwasser’s poems is thus the intersection of a constantly changing series of planes that open onto light, landscape, sense, and idea: “Louis Sullivan leaps through clear grids / shimmering horizontals / skeletal vertical” (58). 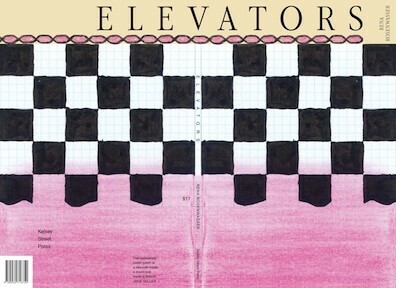 Richard Tuttle designed Elevators’ covers. At the bottom of the cover, the reader’s eye meets a sea of magenta with faint blue gridwork beneath it — the grid recalls grid paper, Agnes Martin’s grid paintings, and the cages of early elevators. A quarter of the way up, the magenta fades and a pattern of black squares appears like a checkerboard on top of the grid. 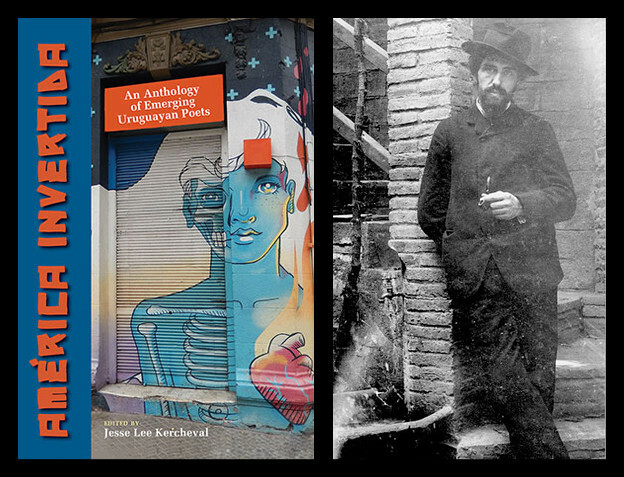 The cover’s images and associations resonate with Rosenwasser’s poem “Storyville,” in which she writes, “Figures that had once captivated her on canvas now gave way to a passion for abstraction: penciled grids on canvas or painted surfaces filled with washes of color. What was it, she thought, if the field of the painting moved outward into a horizonless space?” (51). Finally, at the cover’s top, the gridwork ends below black chain links reminiscent of William Blake’s illuminations and colored in a pink wash against a flesh toned cream band; above the chains, the book’s title appears horizontally in black, capital letters. You have to open the book to see it’s full title, Elevators, for “ELE” is on the back cover, “ATORS” on the front, and “V,” a balanced union of the vertical and horizontal, appears on the spine, extending onto both the front and back cover. It may seem strange to linger on the cover, by which we are taught not to judge a book, but Elevators’ cover has the wonderful effect of producing depth from line and color, or, perhaps slightly differently, the cover allows depth to become perceptible: the book moves outward. It offers a different kind of invitation than that of an “open book” toward its reader; here, the book moves through space toward the reader — it extends to her. Rosenwasser’s poems achieve this extension too. Another name for this movement in Elevators is travel. Elevators is an epistemological travelogue — travel as the body and mind’s movement through intersections of light and stone, metal and vision, history and dream, surface and dimension. Travel in this work is also an exploration of forms of knowing and feeling that Elevators’ movements unfold. It is comprised of the lover’s hands “long on exploration” (11), “the self […] ventur[ing] out in curiously Baroque attire” (17), “temple / verticals lift” as an ancient temple moves in the Nile from the island of Philae to the island of Aswan, “senses [that] roam over where she reads” (45), “climb[ing] from the depths of the subway to natural light” (49), and the “vertical leaps” of riding in an elevator (61). Travel, Ronsenwasser suggests, is both an intimate exploration of space and also of time and tense: “pressure of the present implodes” and the past emerges in Elevator’s poems (31). In the collection’s opening poem, “Triptych,” the stanzas are comprised of a single line that runs over three lines of text: “Stretching myself, I cover sequences of words that fill three lines.” “Stretching myself” appears, and a few lines later, “I extend myself” (11). These assertions resonate in the poem as strangely literal; the self in Rosenwasser’s poems stretches and extends to meet crumbling church walls, the fresco artist who painted on them, and the restorer who retouched the frescoes. The past and present meet in the wall and the poem, and the self who attends to them does not impress itself on the world it discovers but rather opens itself to greet and engage it, to be with it in “the conjunction of being” (17). The reader’s interpretation of the shape of the poem’s lines and stanzas allows the fragments to produce different senses. “Displacement” becomes both a subject and an object: it seizes and is seized. In Elevators displacement becomes not only a mode of exploration but also an ethics. It demands the self extend in openness to inhabit “alternate positions,” and it reimagines meaning. Elevators itself wavers between two forms of open language — sentences elegant in their clarity and fragments vibrating with possibility. Rosenwassers’ declaratives have the gentle, absolute force of constatives: “Night walks over me. Dreams concur. Inhabitants negotiate motion across fields” (47). Her fragments offer, interrupt, and revise meaning.